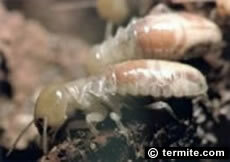 Same Family Business Since 1964 • FUMAPEST Termite & Pest Control is a second generation family business. After almost 50 years of providing pest control in Ku-ring-gai Council Region, we have a valuable reputation to protect and a wealth of knowledge and experience, unmatched by our competitors. Commercial Food Premises • FUMAPEST Ku-ring-gai Pest Control is compliant with Food Act NSW, HACCP & AQIS requirements for commercial food handling premises in Ku-ring-gai Council Region • restaurants • cafes • bakeries • backpacker hostels • child care centres • churches • factories • health care facilities • hospitals • hotels • motels • nursing homes • offices • racehorse stables • retirement villages • schools • colleges • veterinary clinics • other sensitive environments • click here for more details. KORDON Termite Barrier for Builders • Manufactured by Bayer Australia • FUMAPEST Termite & Pest Control are Licensed KORDON Installers for building constructions in the Ku-ring-gai Council Region • KORDON is CodeMark Accredited and meets Australian Building Code and Ku-ring-gai Council termite control requirements for buildings under construction • a 10 year warranty applies backed by Bayer • click here for more details. FUMAPEST Spider Identification Chart with FIRST AID spider bite procedures - a ready reference guide in full colour of dangerous and venomous spiders in the Ku-ring-gai region.